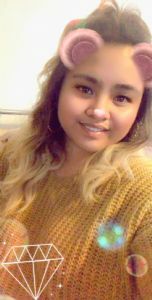 I am 21 years old Filipino female, the youngest in the family. I am kind, fun, bubbly, energetic, helpful young female, who is also up for a challenge. I like having fun e. g. going swimming, going to the park, going on adventures, going on rides, getting messy such as paint, glitter, mud. I don’t really dislike a lot except for snakes, spiders, bugs and anything like rats, mouse. My hobbies are going swimming, being active at the gym, shopping, going to the park, shopping and anything that’s fun. I currently work in a nursery in harborne as a key worker for the pre school. I have worked at the nursery for 5 years and I have babysitting/nannying experience for 5 years. I have an up to date DBS which is on the service. I have an up to date first aid, aswell as a food safety and health and safety certificate. I have a full UK driving licence with no points and I have my own vehicle. I currently work at a nursery in harborne looking and caring after children from the ages of 1-4 years. I have been working at the nursery for 5 years aswell as babysitting/nannying for 5 years.